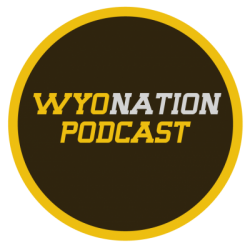 WyoNation Podcast: Victory, Sweet Victory! In this week’s edition of the WyoNation podcast we cover the Pokes’ win vs Nevada. We recap our thoughts from the last game and why we think Wyoming has plenty of talent to keep on winning. We also jump into basketball season. Chad was present at the basketball scrimmage and gives his thoughts on the new Pokes into the program as well as his thoughts on Josh Adams’ senior leadership coming into the season. Come have a listen to the newest podcast!